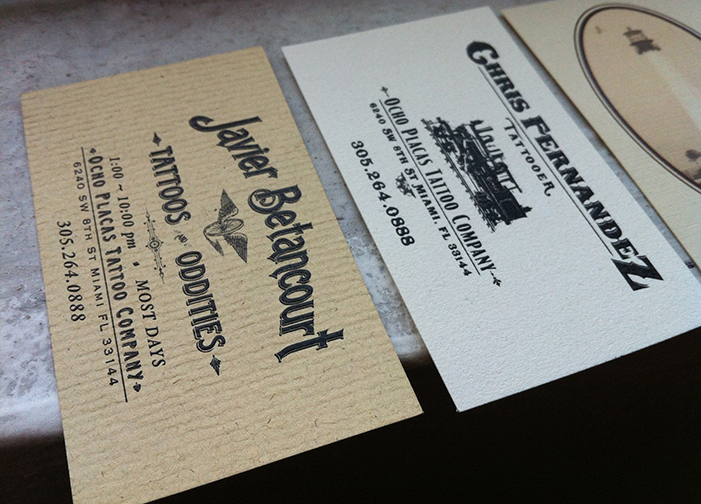 Business Cards with Thermography Printing. The Ocho Placas Tattoo Company loves them some classy cards. Here’s a couple we designed and printed for them awhiles back. Notice the thermography, which is a heat-raised ink technique that we personally love.